I'm pretty short (5'1 1/2 to be exact). I prefer the term 'vertically challenged' actually. My parents are only 5'6 and 5'2 (on good days) so height wasn't exactly in my genetics. While it's annoying that I constantly get mistaken for a 17-year-old when I'm actually 22 and that I have to get every piece of clothing tailored there are also some small benefits. Like being able to wear Crew Cuts (and having a boyfriend that's 6'5 and can reach everything for you)!! 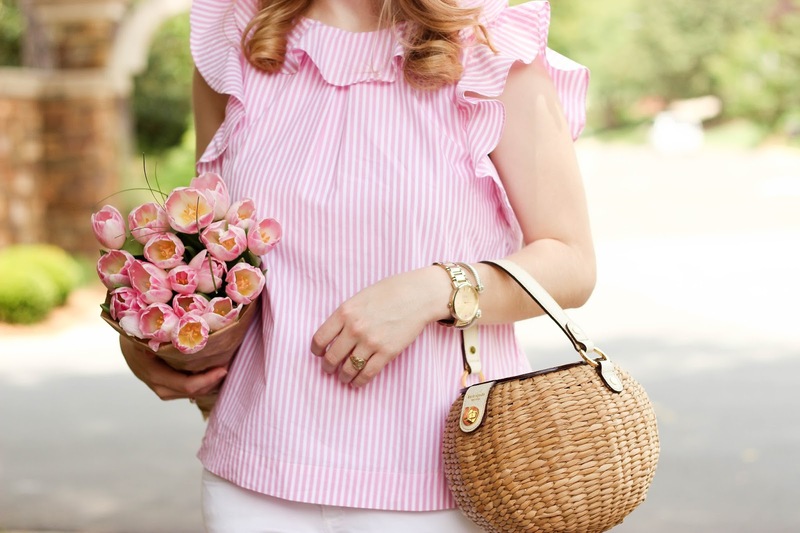 This pink and white striped top is adorable and I found it one day in the kids J.Crew section. I ended up getting a size 16 because I'm a little bigger in the chest area but I think could have gone down a size everywhere else. It has an adorable low cut back that makes it so fun and perfect for any occasion. Oh and these Soludos wedges are my new favorite pair of wedges I own. They are seriously so comfortable and I can't suggest them enough. I wore them for my whole graduation day and not one blister! However, I would size down an entire whole size. I am originally a 6.5 and after trying the 6.5, 6, and 5.5 then 5.5 finally fit. I feel ya girlfriend! I'm 5'0" and I buy clothes from the kids section all the time! I feel ya girl, we're around the same height. But being petite has its perks. As for this look, totally in love with that top. SO pretty for spring! 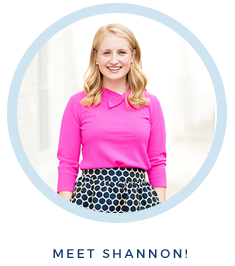 This outfit is so cute on you, Shannon! 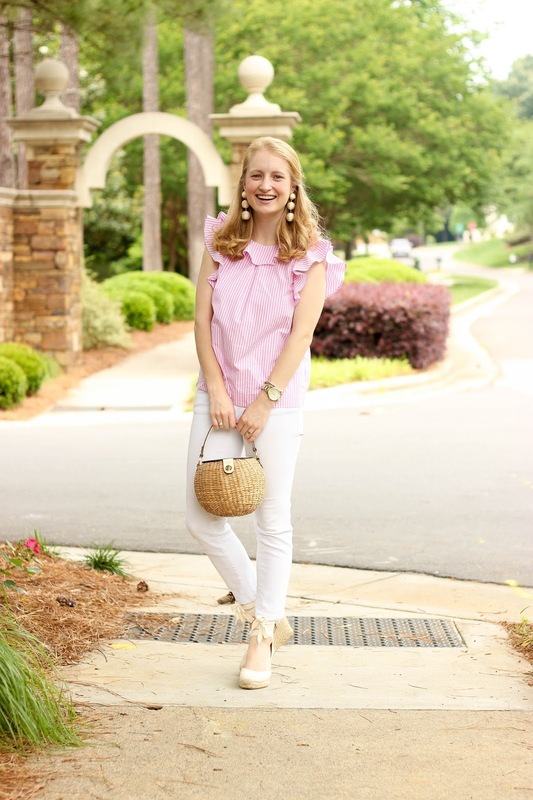 I absolutely love the pink and white- so perfect for spring! This is the prettiest top! 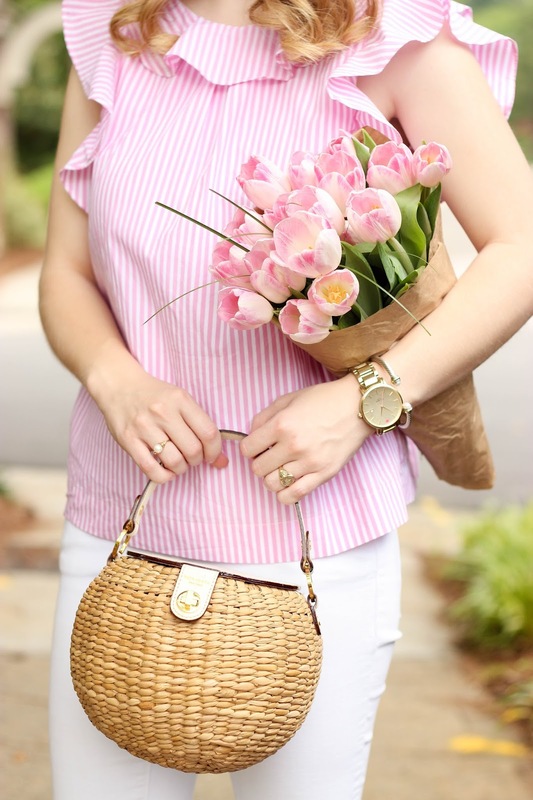 I love the dainty pink and stripes!